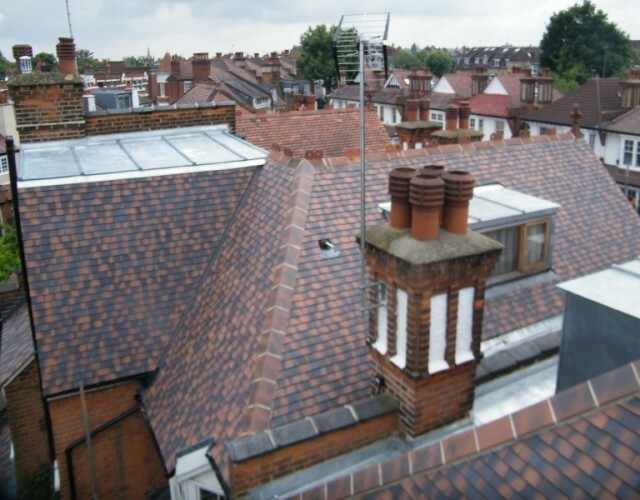 This roof was replaced in concrete plain tiles. 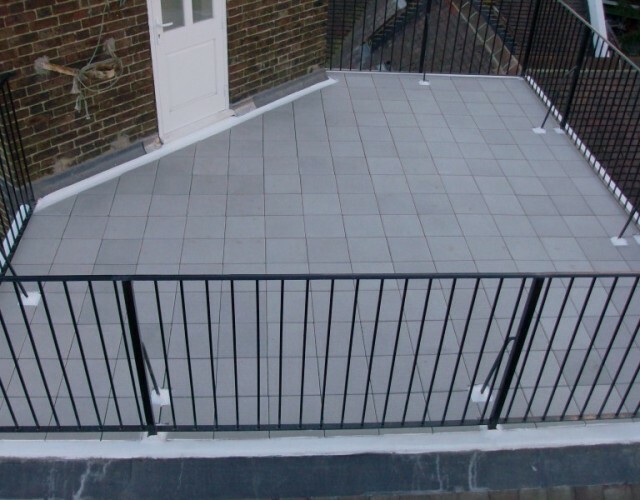 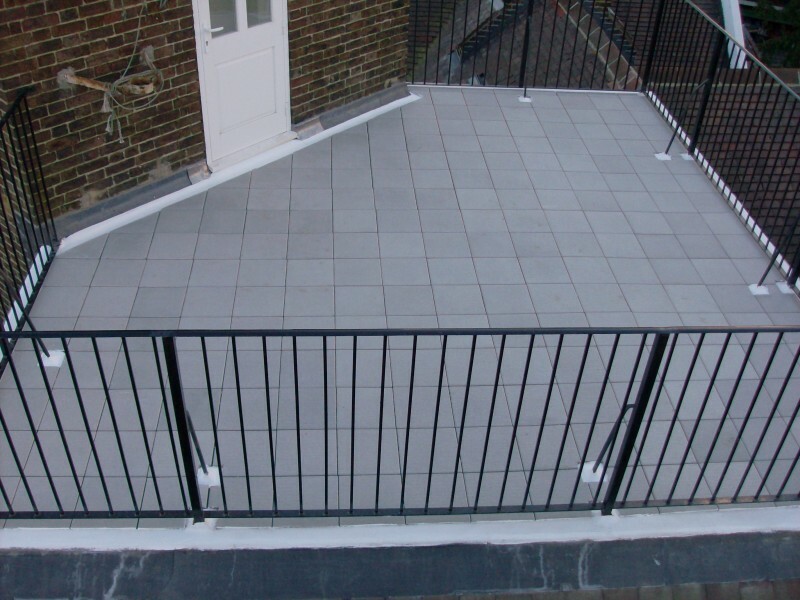 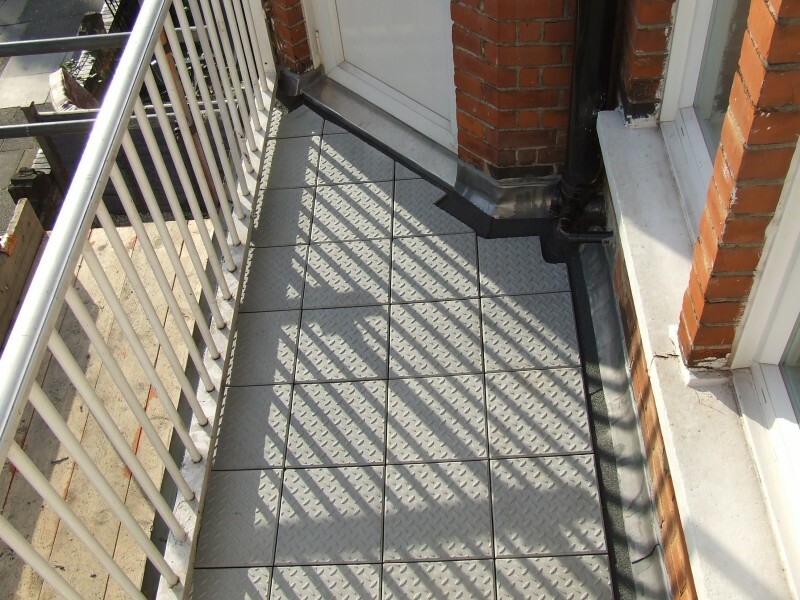 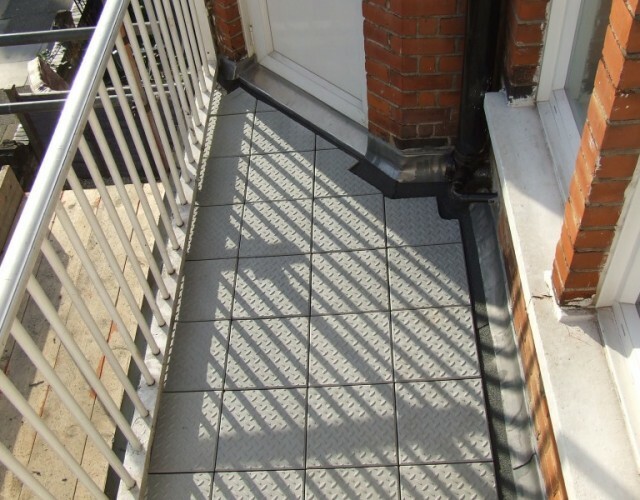 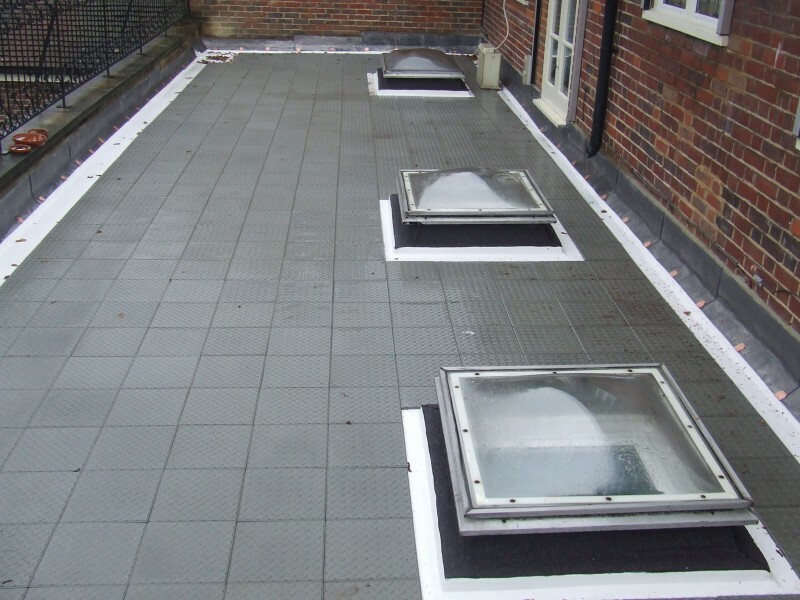 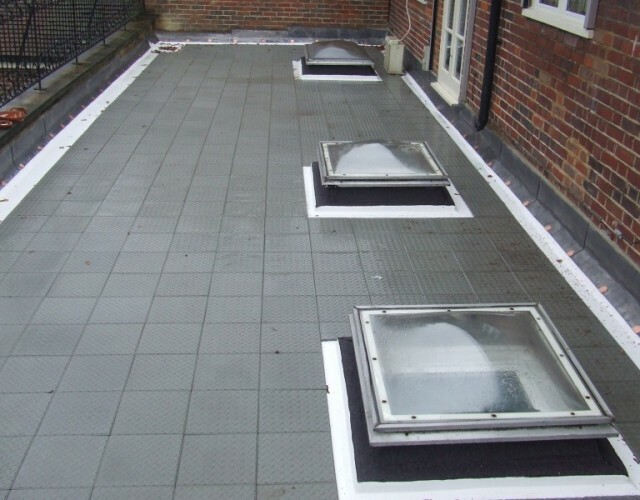 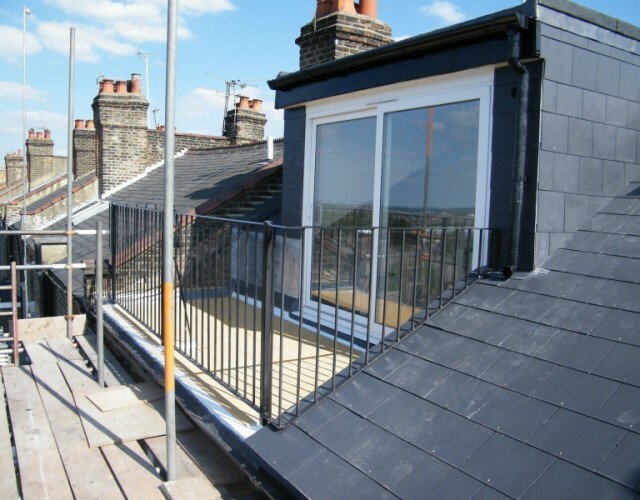 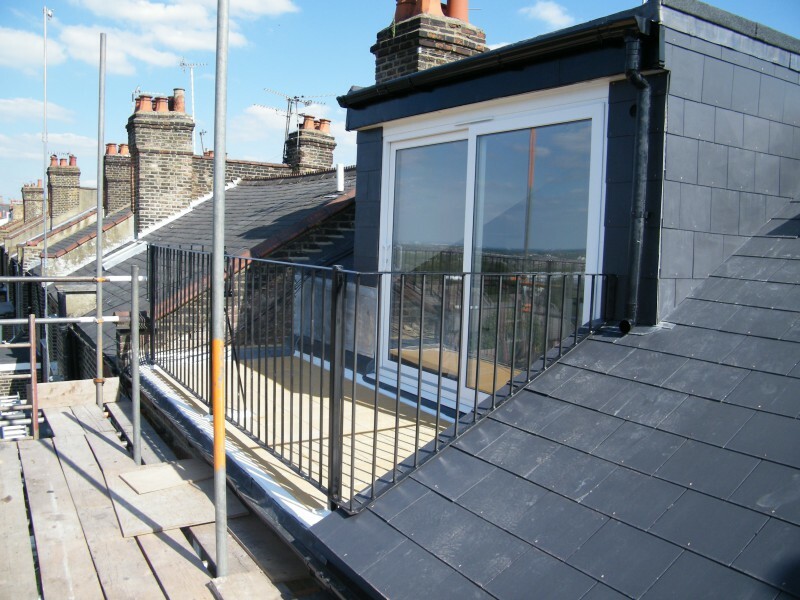 New promenade tiles were fitted to this balcony along with a new asphalt roof. 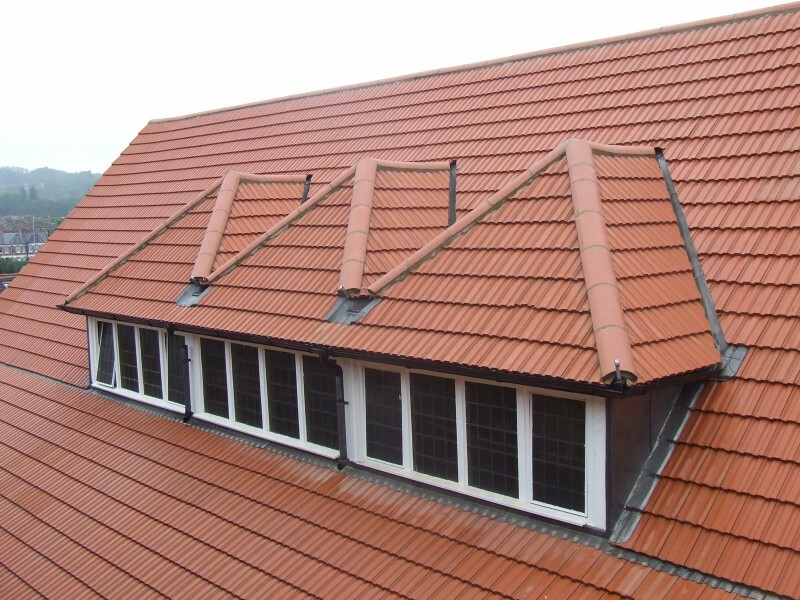 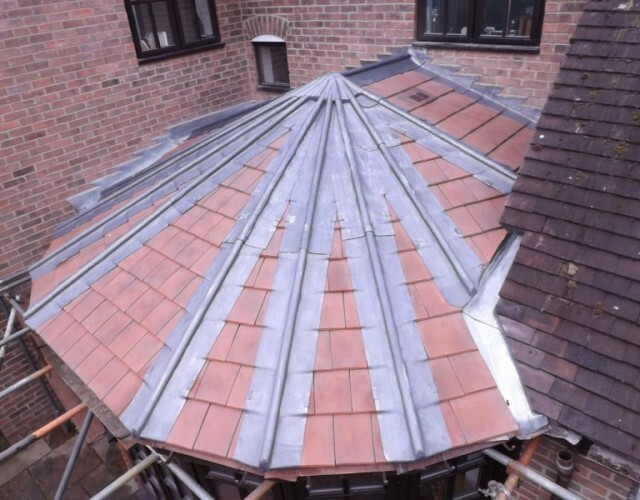 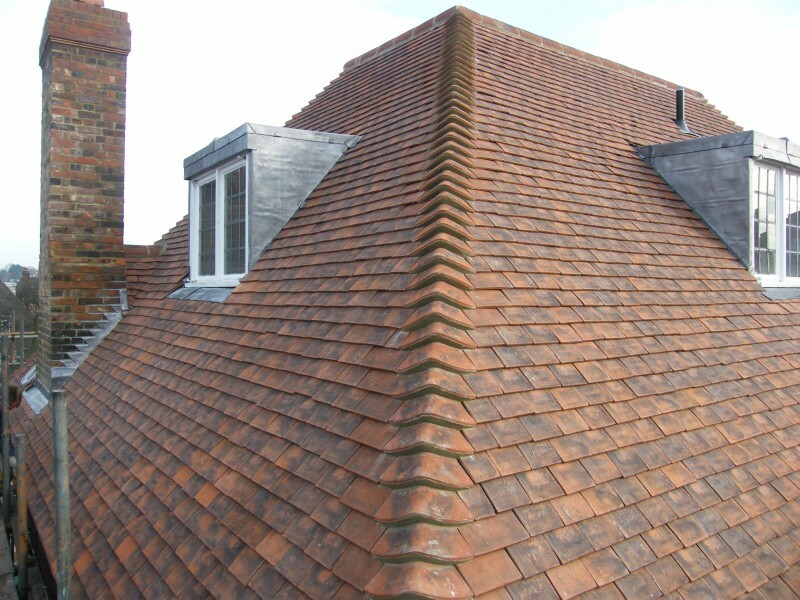 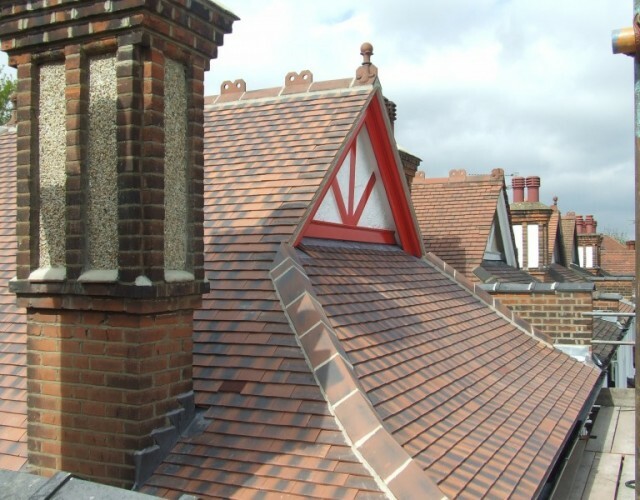 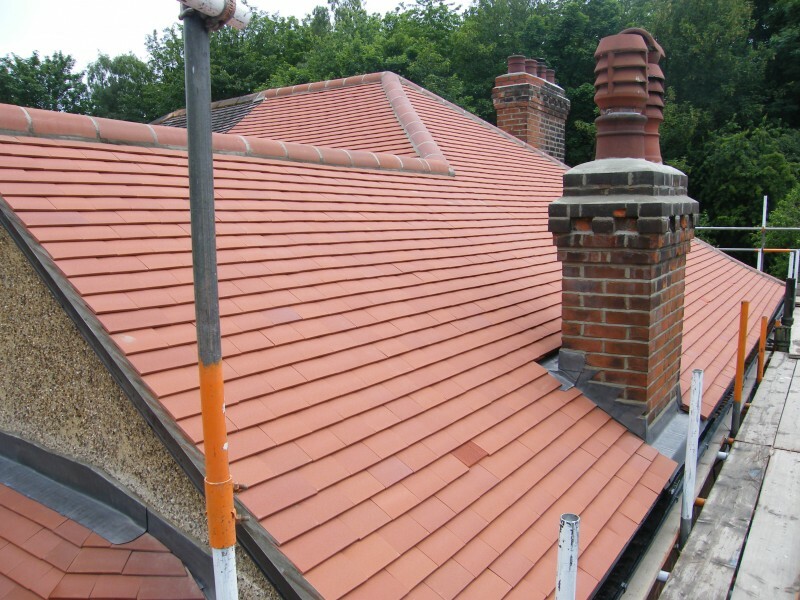 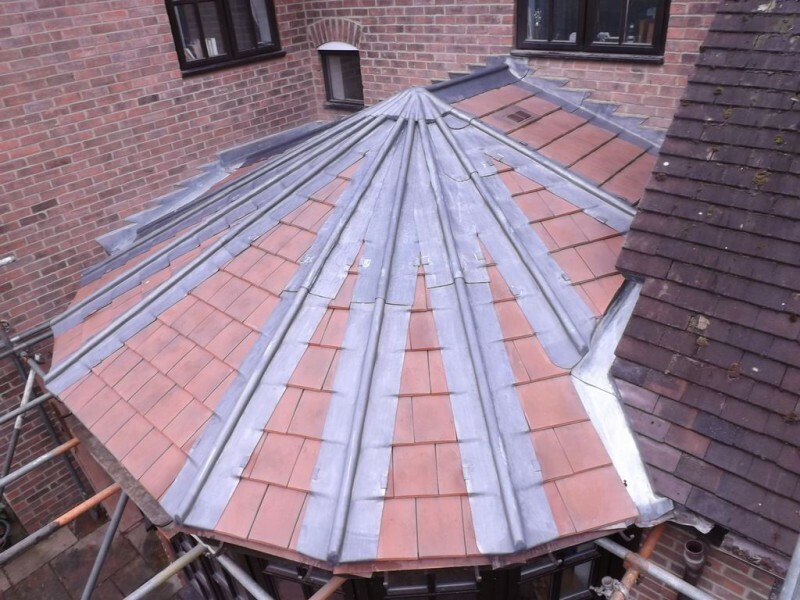 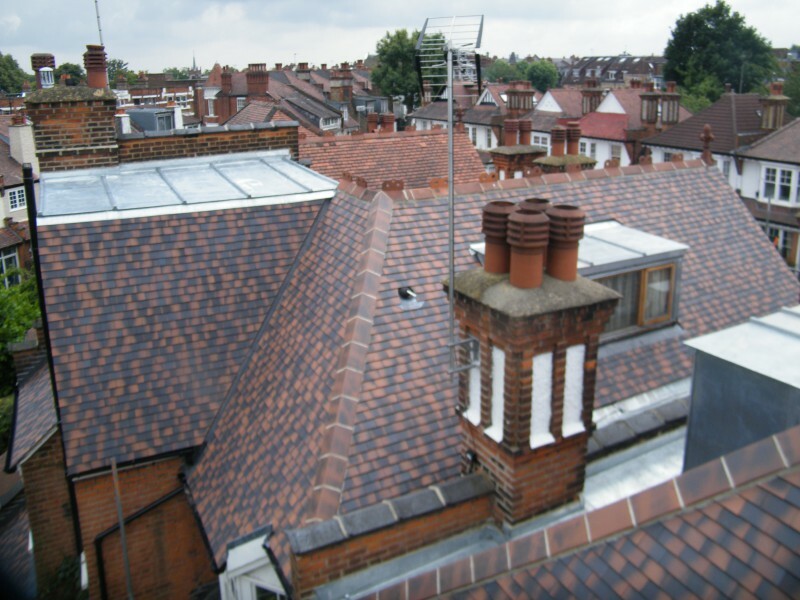 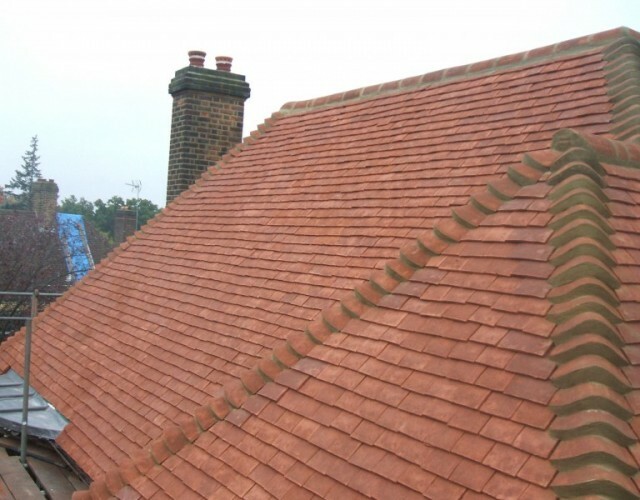 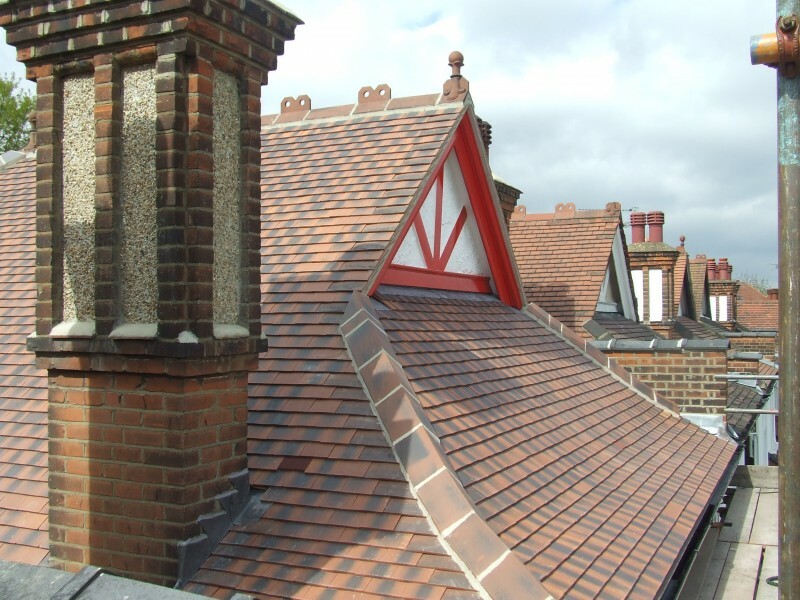 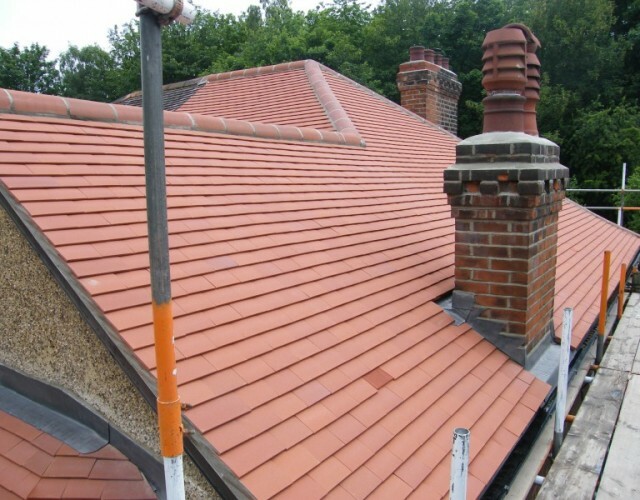 This property is located in a conservation area and recommendation was for Keymer handmade clay tiles to be installed. 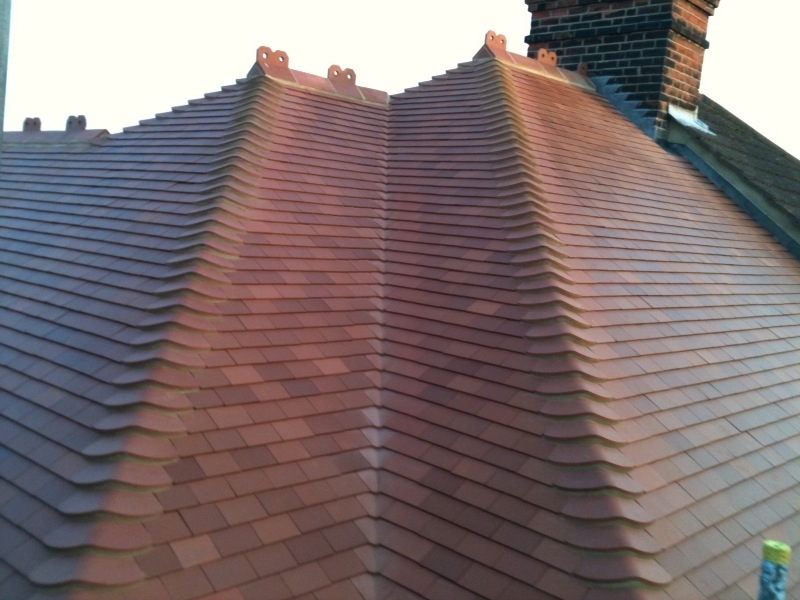 The completed roof looked outstanding! 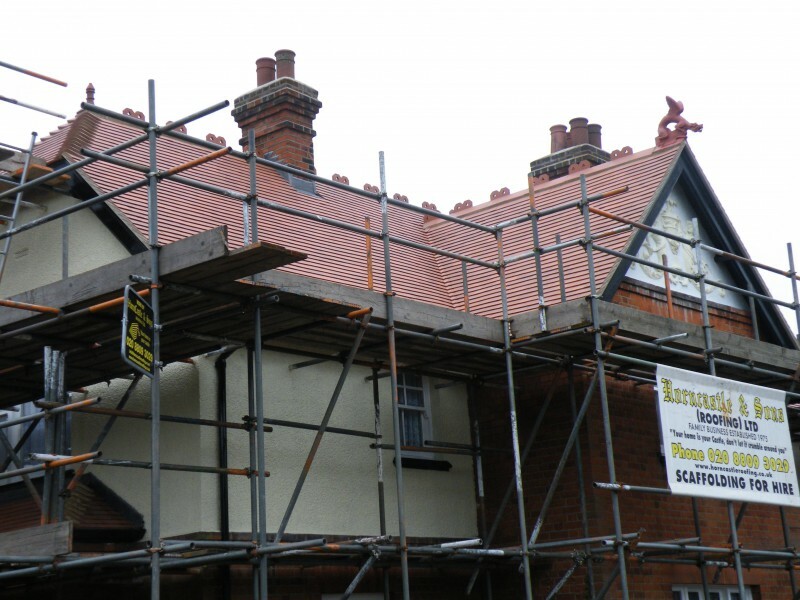 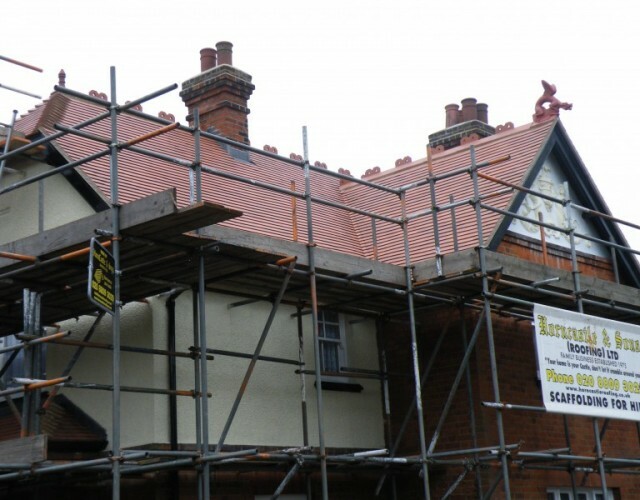 Our second job in Holne Chase, complete new roof coverings, tiles were handmade clay.